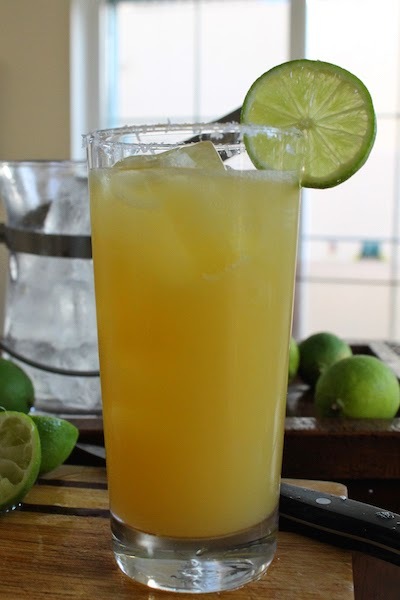 This refreshing cocktail is made with sparkling orange soda, tequila and fresh lime juice, served over ice. 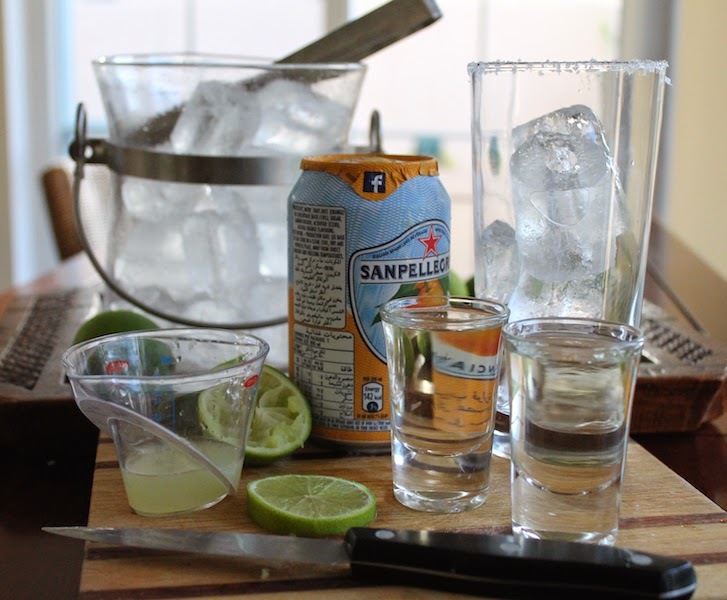 Add a rim of salt crystals and an extra slice of lime and it’s party time. It’s funny what you find out you have in common with folks when you just meet them through the internet – and no, I’m not talking about the dating sites – but through blogging and social networking. If you’ve been reading this space for a while, you know that my friend, Heather, of girlichef is fond of garlic. I mean, really, really fond of garlic. We cohosted the National Garlic Day celebration last year and gave away a few sweet (and smelly) prizes. We have bonded over raising multicultural children as well, discussing the challenges we face trying to make sure that they know where they come from, on both sides of the family. And, we love cocktails! When she posted this Paloma Cocktail, I was determined to make it because I love grapefruit but I struggled to find grapefruit soda. I finally decided that for Blogger C.L.U.E. this month, I was going to use orange soda and drink these babies as I watched the glamorous folks saunter down the red carpet at the Grammys. So I did. You should make them for Oscar Night! Or because it’s Wednesday. 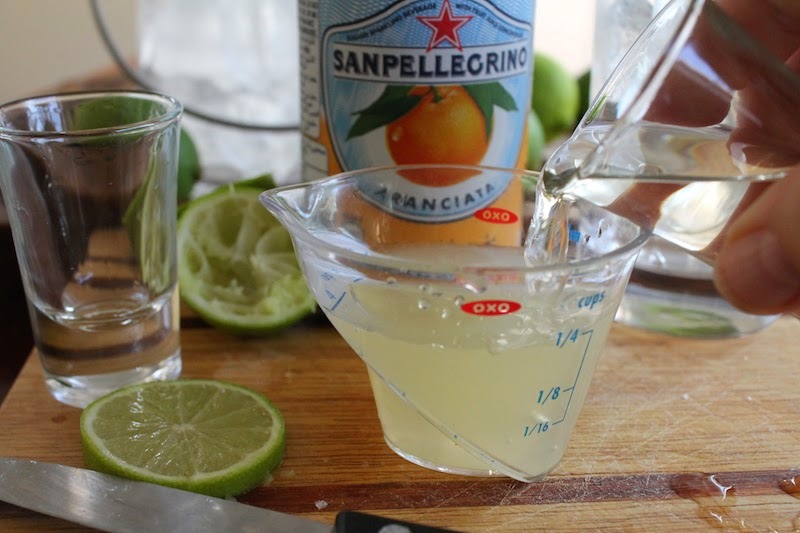 Wet the rim of the glass with lime juice and press it into some coarse salt spread on a small saucer then fill your glass with ice. 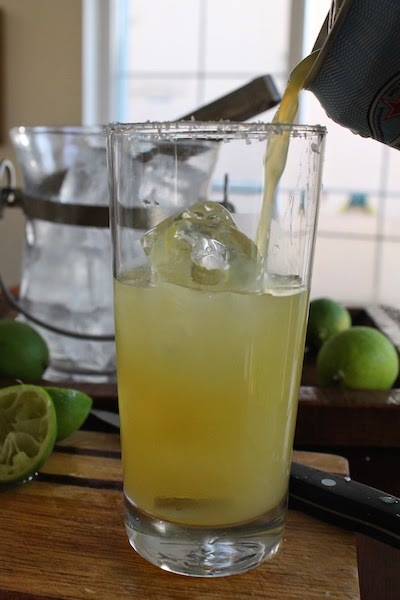 Mix tequila and lime juice together and pour into the glass. Top off with orange soda. 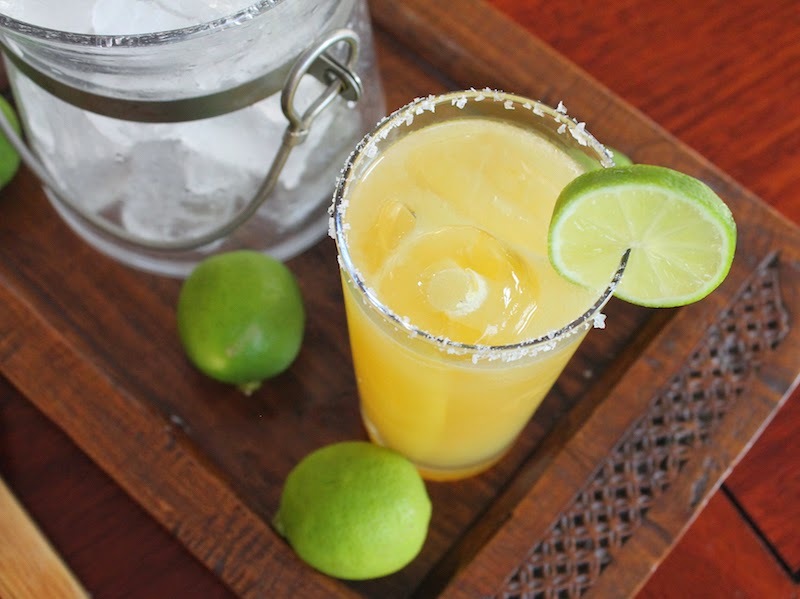 Garnish with a slice or wedge of lime. Check out all the other Blogger C.LU.E. participants this month!